I have seen dyno of that car at last. Dyno showed 622 hp crank power. I looked on Mercedes Benz's website last week, the CLA is sold in America, a front wheel drive Mercedes Benz is just strange. @ NIN: I didn't know that, maybe because they're not sold in my country. You forgot about the CLA/GLA. The "non-4-Matic" versions are front-wheel drive. @ NIN: That is pretty good acceleration! Yes, the all Mercedes Benzes without 4 Matic are rear wheel drive. 11.7 sec @ 120.4 mph for the 1/4 mile. When the specs are added by a mod, please change "Drive front wheel drive" in the General Data. Aspiration cant go into how crazy a car is, drivetrain sure. I don't know if there crazier or softer, 585Bhp, aggressive looks, But 4wd and more family orientated?..Almost all the major car brands have gotten softer,atleast in there non top models. But I really cant decid if MB has gotten softer or crazy, quite a hard decision..
this new e-class sounds nothing like the old one. @ BR2+: Probably a little bit of both. as I can see on Mercedes.de, the AMG with 585hp can be only AWD. also the T model, even if it is the lower power one, can be only AWD. That is a RWD model, but there is also a 4-matic model. bezsl was that RWD or 4-matic in Autozeitung test? Ups, my mistake, it is obviously AWD. that is funny: FWD for this car. Of course it can go over 195Mph. it will go 205Mph+, 585Bhp and great arodynamics, and a good gearbox. 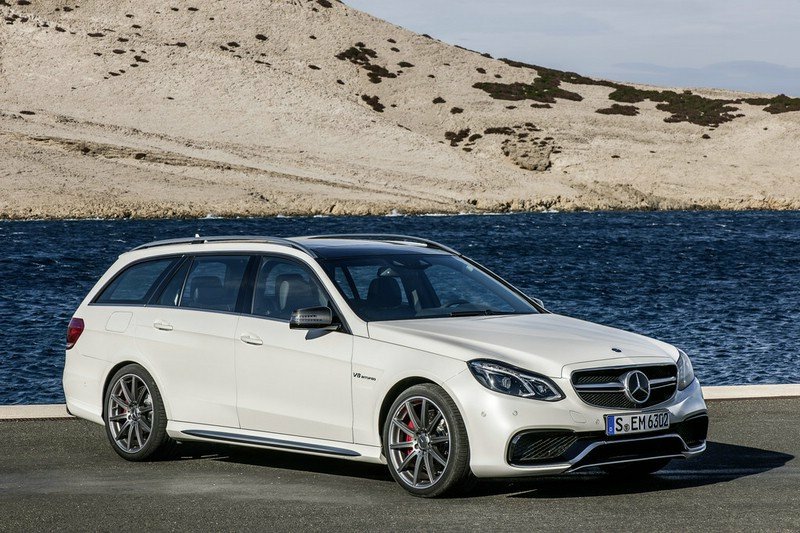 I actually think this may be the best looking Estate car ever, dont care for the 4wd option though, thought that was stupid. This baby easily can go more than 195 mph, being delimited (314 kph, for those who live in the Third World). Yeah, and I kinda doubt this AMG wagon is FWD.